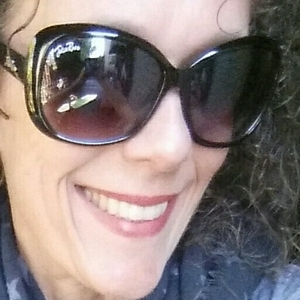 Mental Girl, my inner superhero, has encouraged me to share and talk about my struggles with panic disorder, OCD and anxiety which helps me heal, connect with others and raise awareness about mental health. Thank you for listening. Well good morning Monday. And a how do you do to you? It's Friday. Go do you. Be good to you. Come listen a bit to me. Come on...hang with me for a few minutes...on this Monday morning. Putting your self care right up there with other important routines. Being who I am...as I am...right now. 1st day of new month. And on a Monday . Well....I am proud of me. Be proud of you. Hey its Wednesday and I decided to chitty chat to you. All right note to self...do your own work. Heal. All right time to slather and beef up th e self care routine. Well....what to do when in pain, have the grouchies and just feel blech...? Go on...tell your subconscious you've got this. Load up on self care and show the world you. All right worry mind...how can I help? Here's some.of the stuff I am working on. Come and a hang with me for a few minutes and fill up on good self care talk. Self care to the rescue. Take time to build trust. Start with you. Well what do you do when those anger feelings come up? Take a walk with me. Apologies for the loud city noise. Hope you get something from this podcast. Ok...so anger swooped my way...what will I do about it? Getting support from others can help. Sometime we just need to hear we deserve it. Tell yourself...you deserve it! It? Self love. Or it's Monday. Either way time flows and you are a part of it. So be kind to yourself. Here I am rambling a bit about me. To share with you. Having weird angry thoughts? Mental Girl says time for more self care. Are you keeping up with your self care? Sure hope so - you deserve it. Whatever you celebrate...include celebrating yourself. I believe in me. Believe in you. Keep the tones light. Keep moving forward. We just work on ourselves. We have a right to show who we really are...with all our gloriousness. Popping in again to give you a dose of kindness. Please take as much as you like. So I'm back in your ear offering a dose of self care talk. Mental Girl is here to visit you. 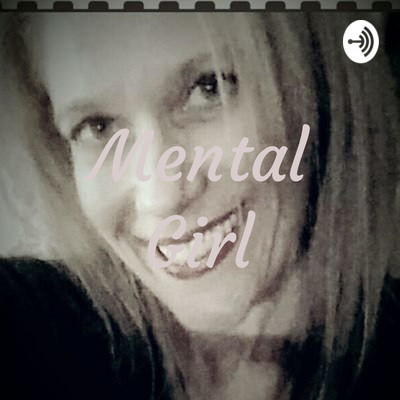 Mental Girl makes a visit...to to you. Decided to spend the week visiting you and giving you a dose of self care talk. Wow...a little more sleep last night and me thinks I am feeling better. Still more self care required. Well what do you do when you get a cold? Self care. I'm feeling up and at em today! Join me. You deserve that rooster feeling too. Take time to congratulate yourself on your wins. I'll cheer for you! On a Friday. Let's go. Take a walk with me. I was pleased to get through it. Being kind to myself did work. It does work. You deserve to be heard, loved and respected. Start with you. It's time to triple dose with the mental and physical self care routine. I need a extra dose of self.love. who needs some too? Give yourself a lot of love as you sort through leftovers of feelings. It's OK to alter the routine...and try to do it with self loving talk. Prepare for the feasts and the festivities with self love and self care. It's okay to have the crankies come from a visit. Just don't let them wreck your inner mental house. Use kindness to speak with them. Feelings. They can be strong and overwhelming. Take it nice and slow. It's time to be gentle. If you have been rough for some time on yourself...learning this will take time. So go easy...with learning to go easy. Out on my walk and thought I would talk....to you. This one is for the feelers out there. Deep breaths. Take it slow. Baby steps. Small steps. Come on. Take my hand. Nice and slow. Mental Girl is my superpower. Until you learn to find yours...you can listen to her and receive a self care boost. It's time to like YOU for YOU.